Stephanie Mayer is a clarinetist and saxophonist committed to bringing music into the community through performance and educational outreach. 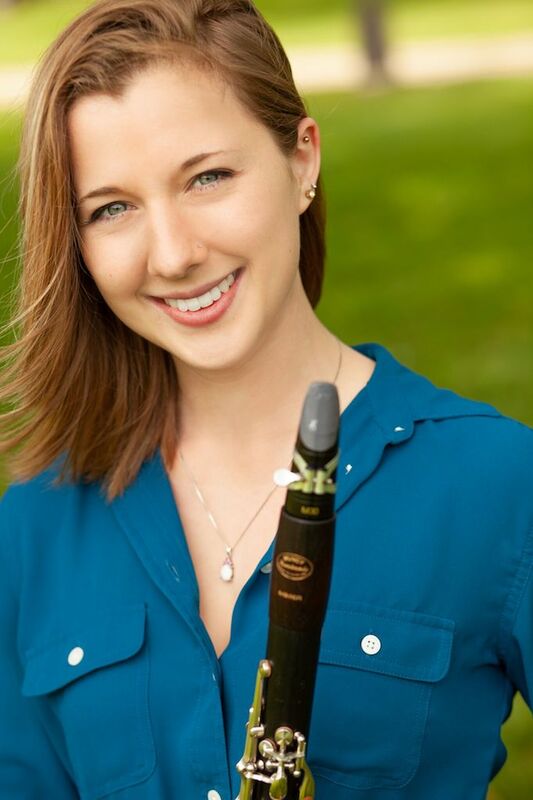 As a clarinetist, Stephanie has performed throughout the United States and Belgium. As a musician, Stephanie strives to submerse herself in as many musical settings and genres as possible. Playing pieces by Ellington, Strayhorn, Copland, Schumann, and contemporary clarinet composers William O. Smith and Eric Mandat. Stephanie has been a featured soloist with Ball State’s Premier Jazz Ensemble and Ball State’s Second Jazz Ensemble. Stephanie is currently pursuing both a Bachelors of Music in Clarinet Performance and a Bachelors of Science in Music Education at Ball State University. As an educator, she actively teaches both clarinet and saxophone privately and in sectionals at multiple schools throughout Indiana. Stephanie finds passion through performance and believes that the best way to become an excellent music educator is becoming a well-rounded musician. Stephanie has also been implemental in teaching music in at-risk youth centers around Muncie, Indiana and helped start a music program for at-risk youth. Stephanie also participates in the Muncie Symphony Orchestra’s Together in Musicprogram, bringing musical experiences through instruments to children in and around the Muncie area.